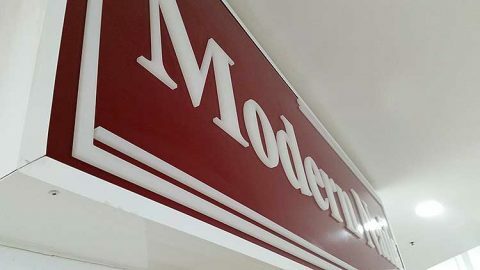 Shopping centres often require a lightbox with 3D acrylic lettering for each tenant, and here at Perth Graphics Centre we can create exactly that. With routed acrylic letters, we can create backlit lettering that becomes a highlight when your lightbox is turned on. Seen here is one such sign we created for Modern Nails in Melville. As you can see from the side-on view, the letters stand out, fulfilling the shopping centre’s requirements. By using a standard vinyl, instead of a translucent, we also encourage light to come only through the lettering. Bright globes also help to make them glow more intensely. 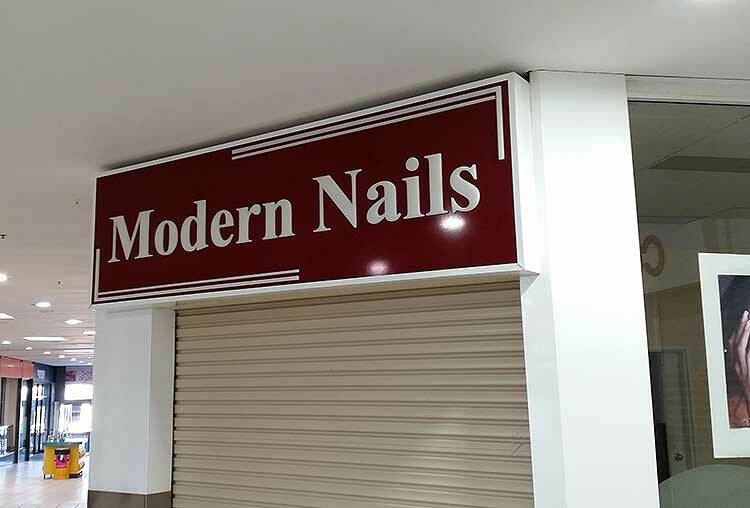 Whether you have a shopfront that needs a lightbox or if you just want a corflute sign, Perth Graphics Centre can help with all your signage needs.